Adrienne Lawler is a freelance Presenter with a background in broadcasting who specialises in Live Corporate Events. A successful businesswoman, journalist, BBC radio presenter, newsroom anchor at the BBC, Sky & Carlton TV and host of ITV1’s Everything Must Go!, Adrienne is a popular conference host, presenter and facilitator. Professionally, Adrienne Lawler has filmed in a Range Rover at over 100 miles an hour as it’s tires were exploding, broadcast to over 300 million people across three continents from the newsrooms of SKY and the BBC and entertained hundreds of thousands of listeners across the airwaves. 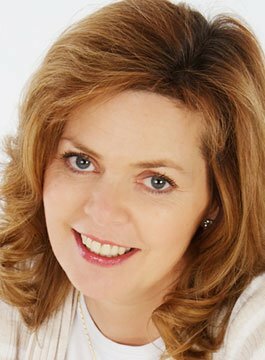 Corporately, she’s challenged Directors and Senior Managers in numerous boardrooms, from Debenhams to Kleeneze, Signet to Leo Pharmaceutical. Lively, engaging, fun and insightful. Adrienne Lawler is all of that and more, transforming conferences from predictable presentations into dynamic, interactive events that will challenge delegates about the way they think – and act. She brings a unique sense of style and humour which keeps people talking about their event long after it’s over. Just how does someone no more than 5′ 5″ tall take charge of 900 exuberant businessmen out celebrating their annual awards? With charm, skill and enormous humour if she’s Adrienne Lawler. Clients consistently talk about the value she adds to an event and the crucial role she plays in its success. Adrienne’s talent in being able to get to the heart of issues creates an excellent forum to communicate messages as diverse as corporate strategy, emerging technologies and monetary policy, in a way that audiences believe in, and respond to. Whether Chairman or other key speaker, people are encouraged to perform to their strengths as Adrienne coaches them in all aspects of communication, from body language to vocal expression, content to questioning. The star of the video is always the client’s message.